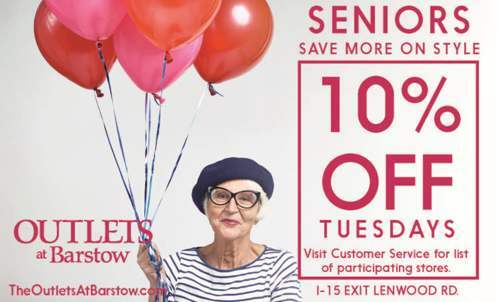 Seniors Save more on Style! 10% discount off your entire purchase every Tuesday! Visit customer service for a list of participating stores.